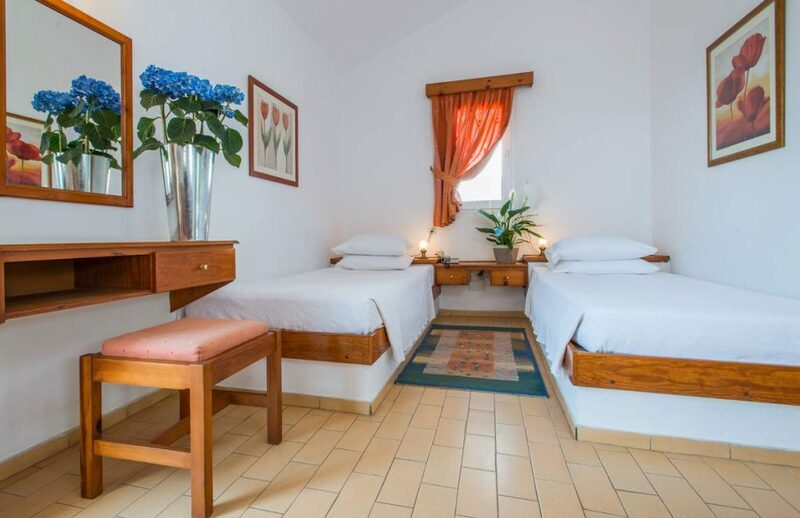 The cozy and comfortable Lesvos island bungalows are built in the traditional architecture of Mythimna, thus blending harmoniously with the picturesque island of Lesvos. 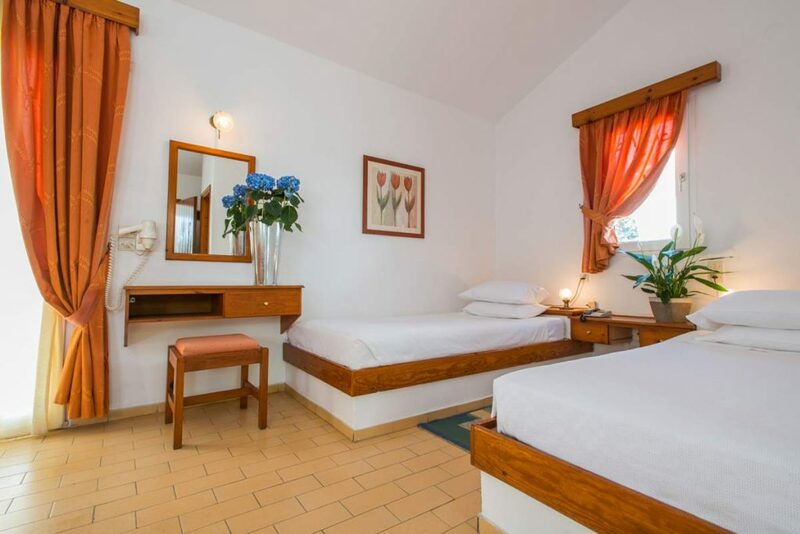 Our Lesvos island bungalows consist of 57 rooms decorated in a simple and elegant manner. In the exterior, little paths intertwine and bring you to the hotel’s vast garden, making you feel like you are walking through a fairytale island village. Our spacious bungalows in Mythimna Lesvos, ranging from 30 to 35 sq.m, offer you either an astonishing view towards the beach and the picturesque village of Mythimna from their verandas or, if you prefer, a veranda with an immediate access to the garden, with its trees and plantations on your doorstep. Either way, we can assure you will relax and enjoy your serene bungalow vacation in Greece. 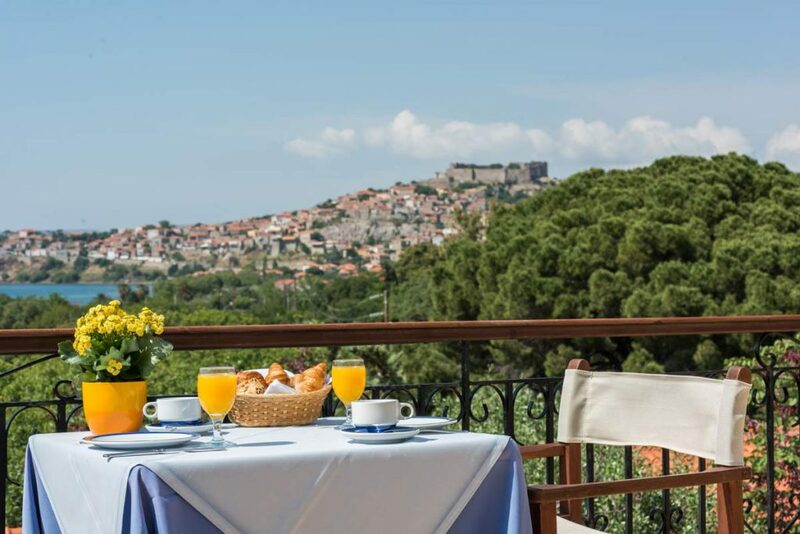 Taking service to the next level, we can serve you breakfast in your private veranda if you wish, free of charge, until 11 o’ clock. Enjoy a sublime bungalow vacation in our Bungalows garden view and our Superior Bungalows with sea view. 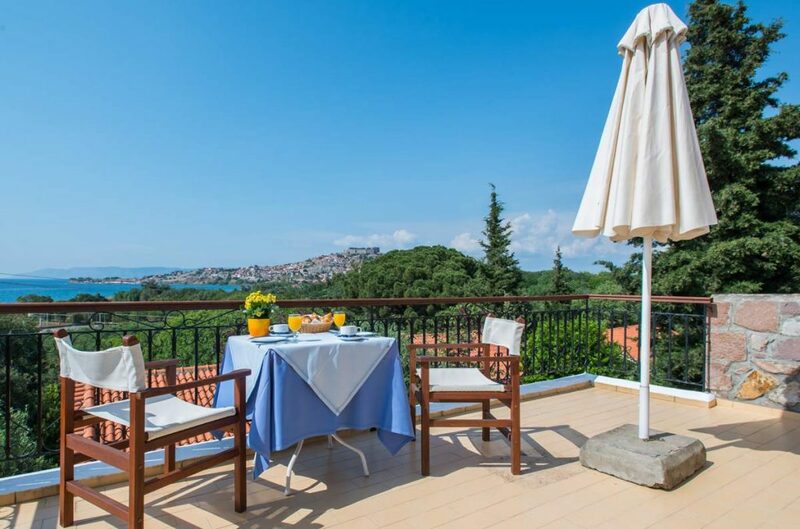 Our superior bungalows promise you an unforgettable experience as you relax in your spacious veranda overlooking the magnificent castle of Molyvos, Lesvos. The site is breathtaking especially at night, when the castle lights turn on. 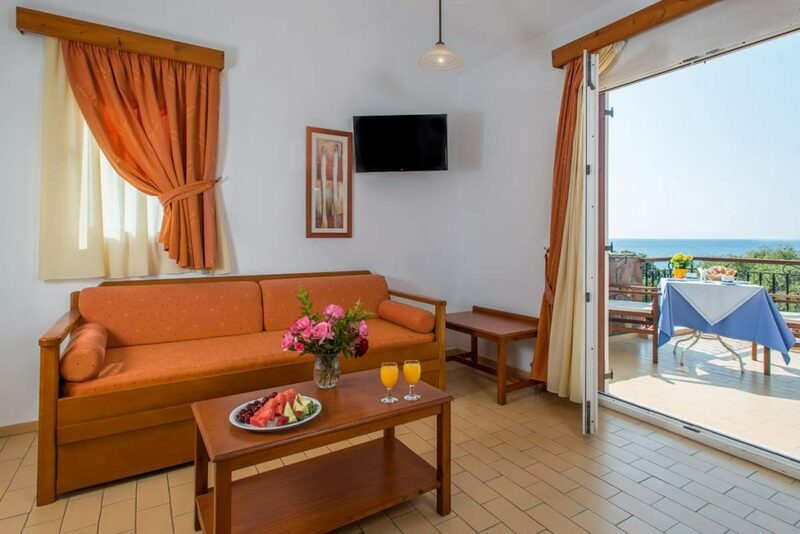 Being a few minutes away from the beach, you will surely enjoy your bungalow vacation in Greece. Most bungalows can accommodate a family of four, since there is a comfortable sofa that can be used as a double bed. 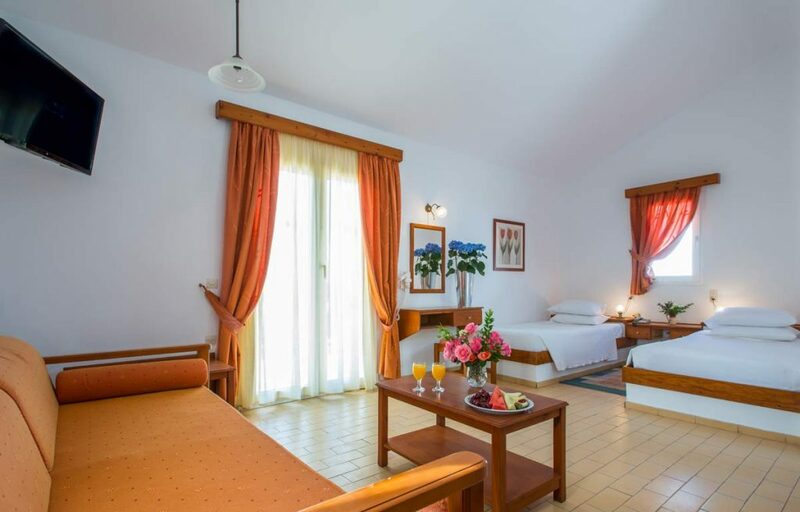 The rooms are spacious and traditionally decorated and the bungalow verandas are the ideal spot to sit and enjoy the best view and island’s sea breeze.